Everything is floating, as if on a cloud. A very thin, very low cloud. The hat, shoes, glove, even the balls. It's all floating. Did I mention the balls? I wish my balls would float. 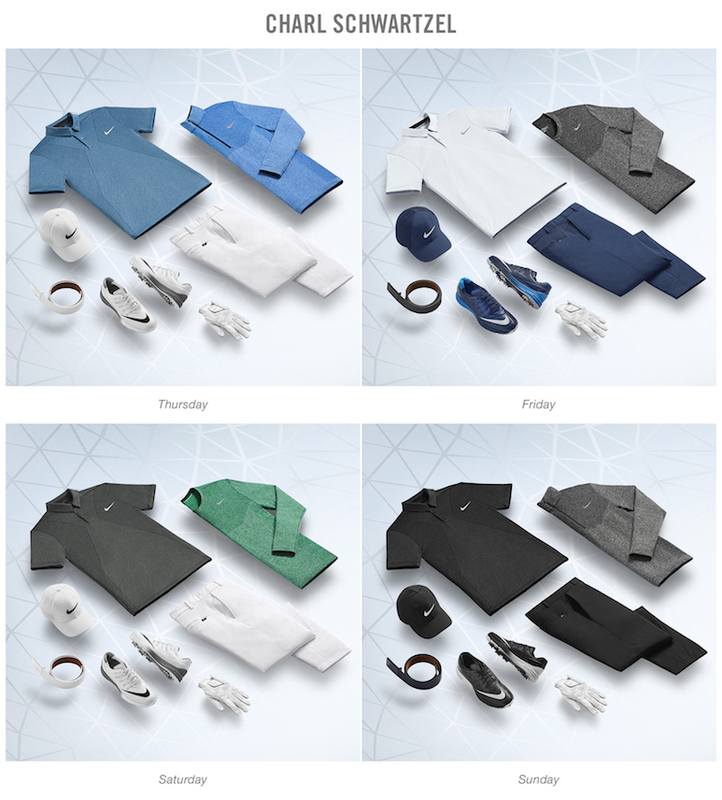 At first glance, there isn't much that jumps out at you about Nike Golf's Masters scripting for Rory McIlroy, Charl Schwartzel, Paul Casey, and Brooks Koepka. But that's kind of the point. Interspersed with splashes of color, Nike's Masters lineup impresses with ultra clean lines. A rolled, or blade collar as Nike calls it, provides interesting detail. Personal favorites from the lineup include the Flex Knit 1/4 Zip, and it's v-neck cousin. One should never underrate a quality v-neck, especially in grey - men have been known to create Pinterest boards dedicated solely to this underrated layering device.